Prime Minister Imran Khan has said that he has not worked his whole life as much as the first 100 days of his government. In a wide-ranging interview with a select group of journalists, broadcast on TV on Monday, Prime Minister Imran Khan has shed light on various subjects of national importance including the state of the economy, civil-military relations and governance issues. The prime minister also discussed bilateral ties with India and controversies surrounding his first three months at the country’s top office. 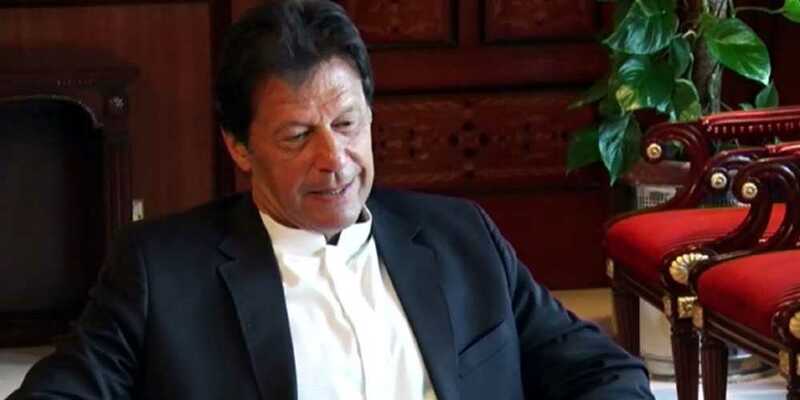 Hinting at possible changes in the federal cabinet in the next 10 days, PM Imran interestingly said that early elections in the country could not be ruled out. The premier also said that he only came to know about the sudden increase in dollar’s value through television, adding that the State Bank took the decision without taking the government into confidence. On the performance of the federal ministers, the premier said he had received performance reports from the federal cabinet, especially on the cost-cutting measures they have taken. “The government will act on these reports … and it might sack some of the ministers,” he remarked. We studied models of Singapore and Malaysia as they ran the state entities in the best way possible … we will do the same,” said the prime minister while commenting on the country’s economy. Pakistan, PM Imran added, will definitely witness stability in the days to come. On the ongoing encroachment drive, the premier said he had explicitly directed the authorities to only go after ‘mafias’, and make sure that houses of poor citizens are not destroyed. The prime minister said the National Accountability Bureau (NAB) was an autonomous body and the government had no say in its affairs in any way. “My political opponents have been after us since day one as they fear that their massive corruption will be unmasked,” he remarked. On a question pertaining to crackdown on Tehreek-e-Labbaik Pakistan (TLP), PM Imran said, “We tried our best to hold talks with TLP leadership and deal with the situation peacefully but to no avail.” No country in the world would allow anarchy and chaos which followed the acquittal of Aasia Bibi, he added. PM Imran also vowed to rid the nation of corrupt bureaucracy and added that bank account details have been acquired with assistance from the foreign countries. The PTI-led government is not facing any issues as far as the civil-military relations are concerned, said the premier.